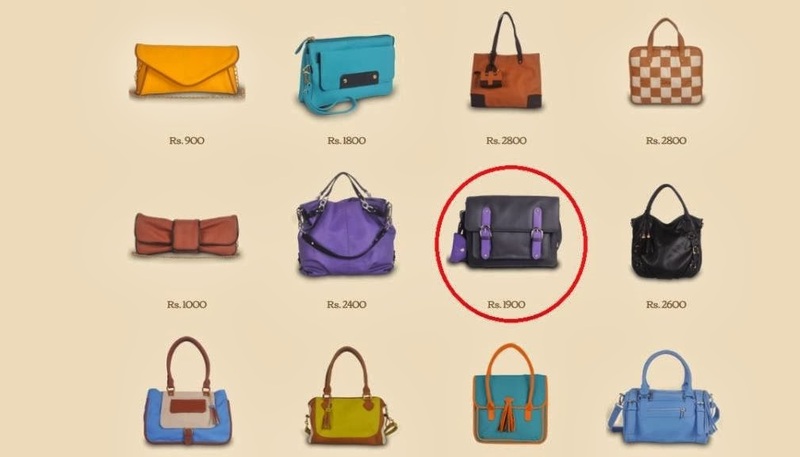 Most handbags available today are mass market, mass manufactured products. A movement away from uniqueness and personalization is fast replaced with brand identity and anonymity. Toteteca wants to introduce you to Handbags that are made uniquely for you. A product that reflects your personality and style first. Their goal is to create a "bag library" of sorts where people can select bags in any color and combination to create a bag that is truly unique. Here is my Customized Bag, made at NO extra cost, with absolute satisfaction !! How to make your ultimate Tote? It’s rather simple, 4 easy steps is all you need follow. And trust us, they are fun! Once the style is selected, the next step just gets more fun. 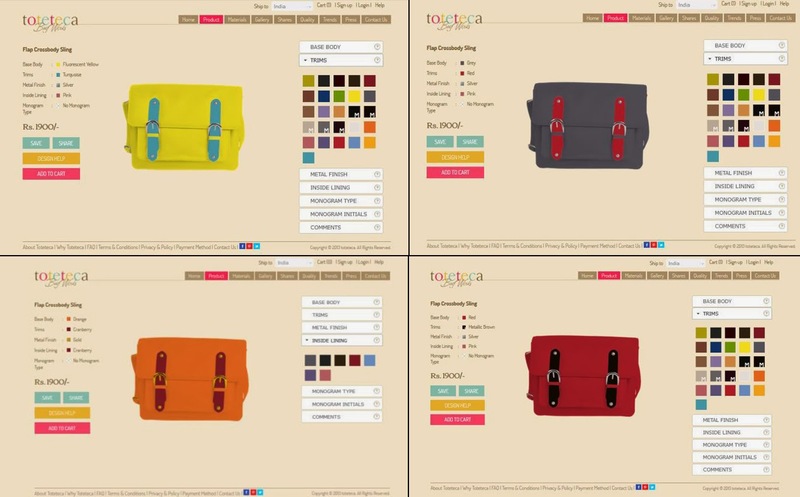 Here you get to design the bag with combinations of colors that best suit your personality. You can choose from a wide palette of colors and custom make the look of every aspect of your bag! Once you are doing finalizing this, you move on to the next step. Who wouldn’t like their initials to be an integral part of their possession? This is what makes Toteteca so special. 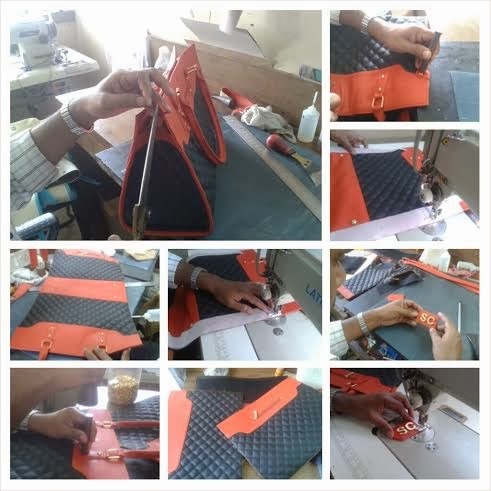 It allows its users to personalize their handbag by weaving in the initials of one’s name either via an external tag or have it inscribed on the lining inside the bag. 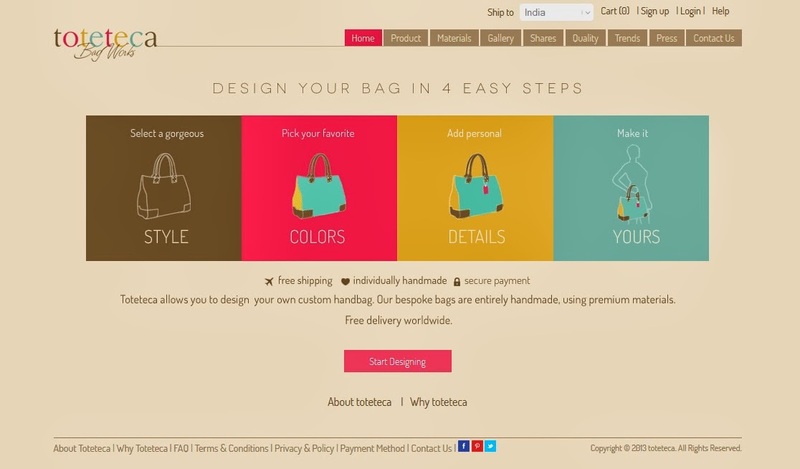 Once you are through the first 3 steps, Toteteca is now all set you to custom make your bag! And once it has been woven into a masterpiece, Toteteca will have it delivered right at your doorstep; anywhere across the world. 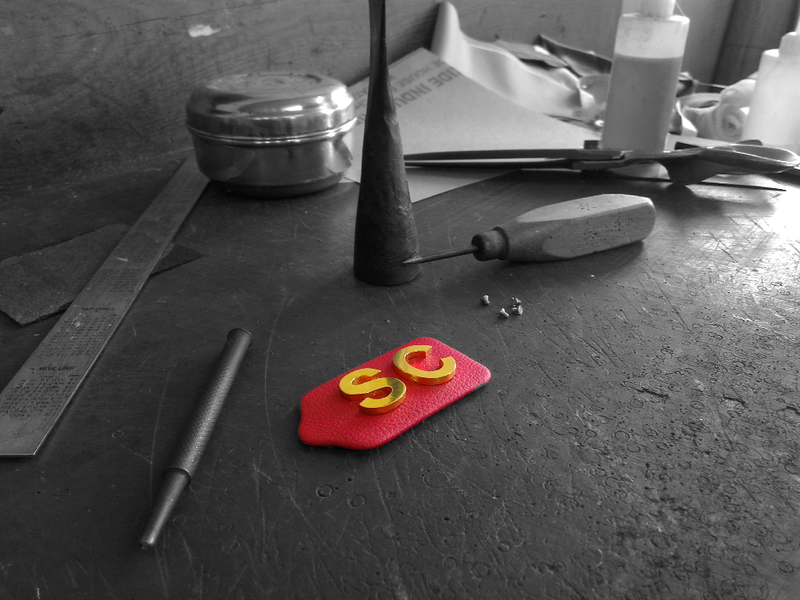 Just share your details, make the payment and wait for 7 days or less to have your own creation in your hand .